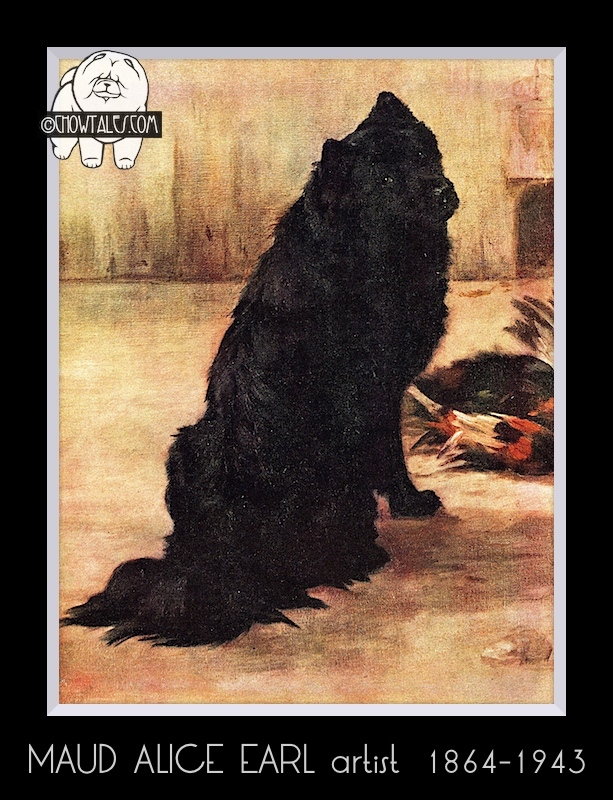 This wonderful etching goes way WAY back in time travel to one of the earlier Chows exhibited in the UK and was owned by none other than The Prince of Wales . Other articles I’ve read indicate the Prince showed Chang himself. In the collage above I’ve included a closeup of Chang pointing out the names circled in orange. 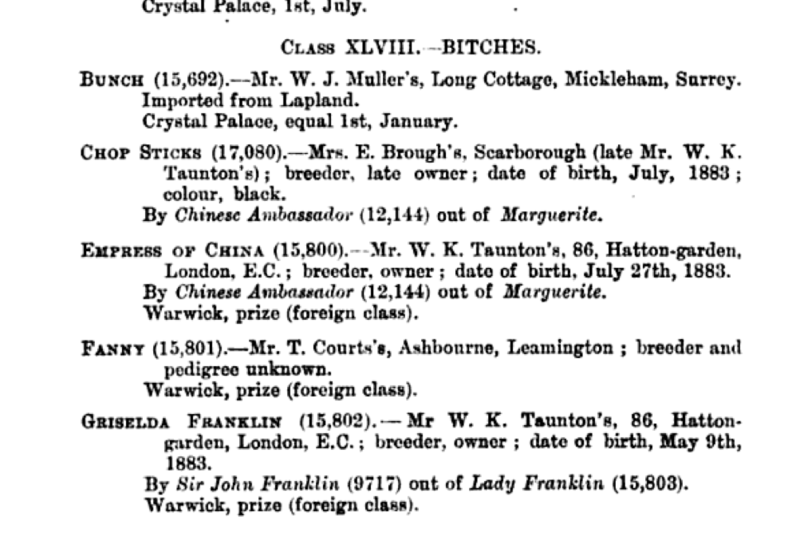 The same year 1884 in The Kennel Club Stud book, I found an entry where Chang and Chow produced Fingo. I know I have a photo of Fingo around here somewhere and will add it when it’s located. This is the full magazine page in my private collection. 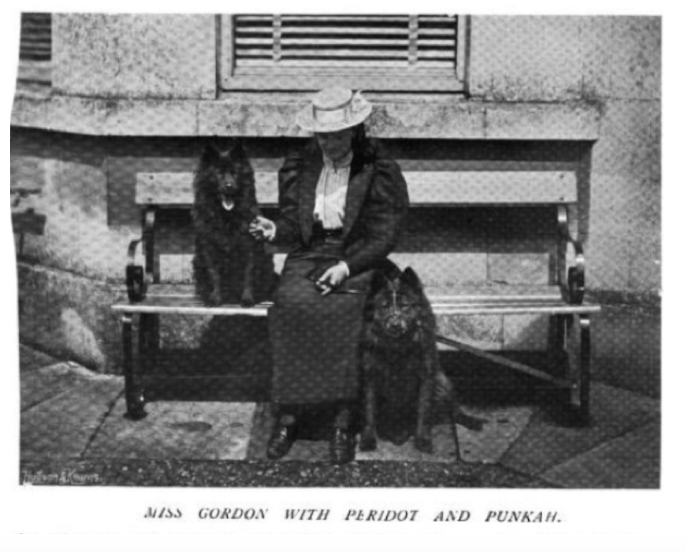 4 of the dogs pictured, including Chang were owned by the Prince of Wales. 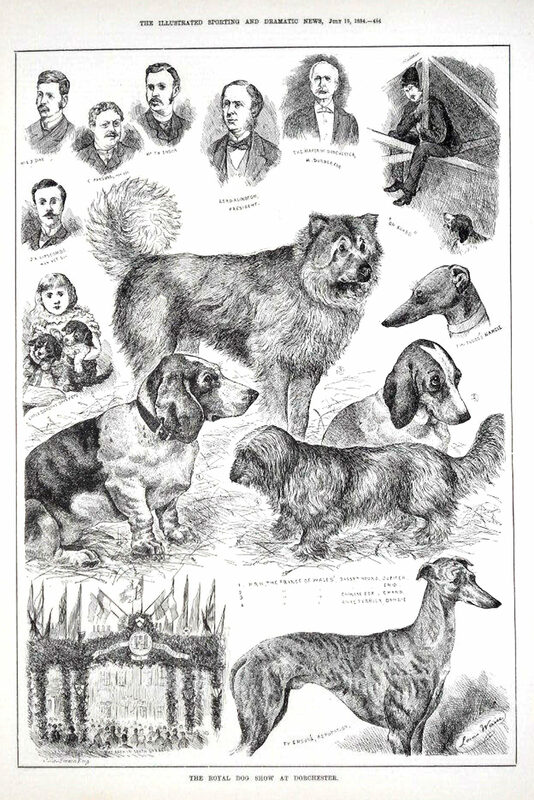 BELOW I AM INCLUDING ALL THE ENTRIES I FOUND IN THE SAME 1884 KENNEL CLUB STUD BOOK FROM THE U.K. TO SHOW YOU WHAT DOGS WERE IN COMPETITION AT THIS TIME IN HISTORY. PAPOOSE and PERIDOT WERE TWO IMPORTANT FOUNDATION CHOWS. 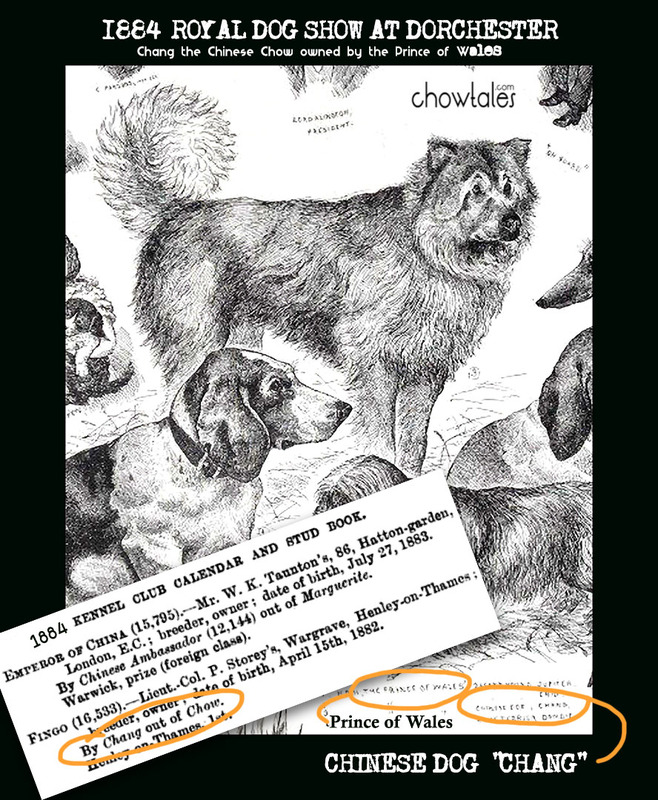 The Chow as a breed was entered in the “FOREIGN DOG” class in these early days, lumped in with many exotic and unusual rare breeds from Asia, Africa and beyond. The chow was labeled CHINESE DOG or the CHINESE EDIBLE DOG . 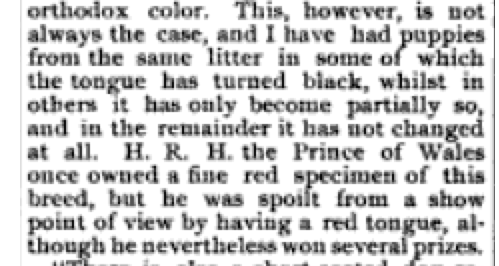 THIS IS AN INTERESTING TIDBIT ABOUT CHANG’S TONGUE PIGMENT BEING RED WHICH I FOUND WHILE WRITING AN ARTICLE ON “CHINESE PUZZLE” WHO HAS BEEN LONG REPORTED AT THE FIRST “CHOW” EXHIBITED AT A DOG SHOW. THIS SNIPPET WRITTEN BY MR. TAUNTON.